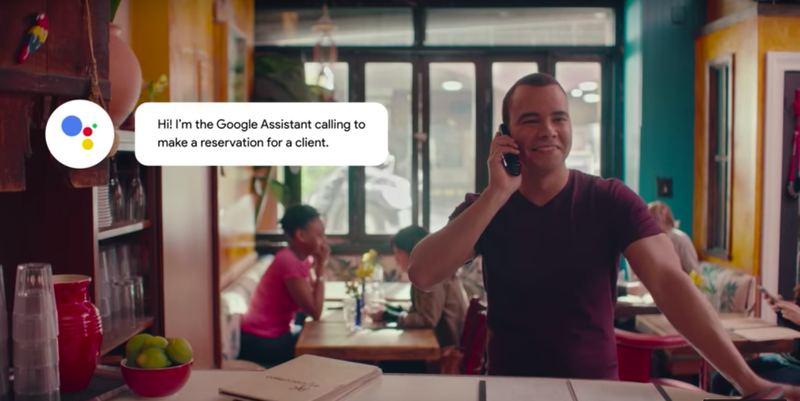 Google posted a video last week showing a woman making a dinner reservation using her Google Assistant. Only she didn’t make the reservation herself: her Google Assistant called the restaurant and spoke to the host for her. The video showcased new technology in the works called Google Duplex, a voice assistant that sounds a lot more human than Alexa or Siri. This version of the Google Assistant can schedule your haircut or make a reservation, littering its conversation with “ums” and “uhs” so the person on the other end of the line isn’t too uncomfortable talking to a robot. The technology is in the early stages, not available for public use just yet. But when it eventually hits the market, it could be used for much more than scheduling an appointment. In a phone-call-heavy industry like real estate, Google Duplex could certainly be helpful. There are already tech assistants out there for real estate agents. Many of them follow up with leads over text message or email, texting on behalf of the real estate agent without the lead on the other end ever knowing they’re talking to an artificial intelligence tool. Baldwin said he uses Agentology, a lead-management system that relies on a team of actual people to follow up for the agent. Unlike those tools, Google Duplex has to disclose that it’s a voice assistant and that calls with it are being recorded. Structurely will also text congratulations or other friendly messages to leads if it picks up that they’re looking for a new house because of a new baby or after getting married. “Those things go a long ways in text conversations, but they’re going to go even further in voice,” Joens said. Sarah Layton, a real estate communications and content professional, warned that real estate agents probably shouldn’t ever rely on a voice assistant for personal communications, like happy birthday or anniversary calls. “They should take two minutes to make those phone calls themselves, not to distance themselves even further and reiterate to clients that they’re not needed and a bot can do their job,” Layton said. But there are many potential areas where Google Duplex could take over some of a real estate agent’s tasks. Layton suggested that the assistant could call potential leads with market updates once a month, schedule showings and schedule appointments during the closing process. Not to mention, real estate agents can use a voice assistant to schedule their own restaurant reservations and salon appointments — even if a functioning Google Duplex is years away.